Jim is also a co-creator of the Buildout development and deployment tool. At Zope Corporation, he created a wide variety of open-source tools, many concerned with deploying and managing applications. 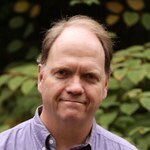 Jim is a Python contributor and has been using Python for more than 20 years. Currently, Jim is focused on ZODB development and providing ZODB consulting and development services. Jim led Zope development for many years and created many key Zope components, such as the ZODB, the Zope Publisher, and more.